Happy New Year everyone! 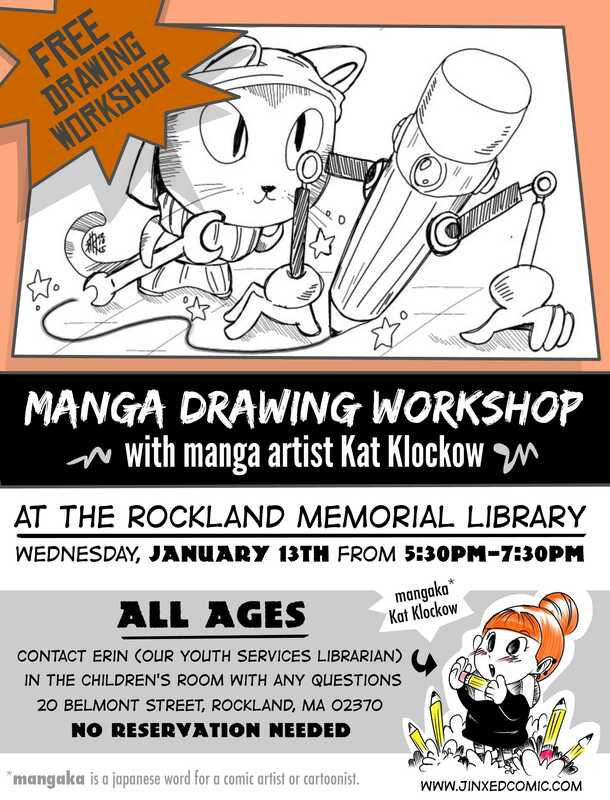 I am to announce that I will be leading a manga workshop from 5:30-7:30PM EST at the Rockland Memorial Library in Rockland, MA (20 Belmont St, Rockland, MA 02370) on Wednesday January 13th, 2016. I will be sharing my experiences submitting to Weekly Shonen Jump, adventures of self publishing, and giving workshops on drawing hair and clothes for characters. Please join me at this awesome event!